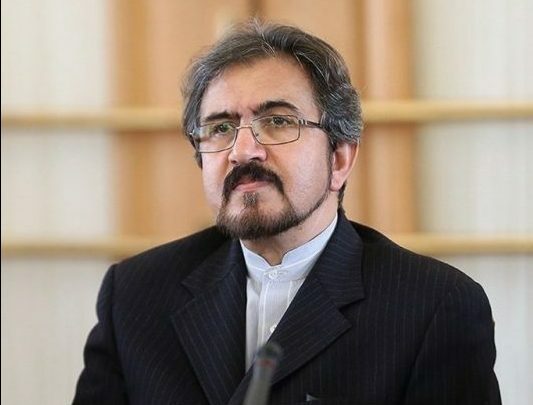 Iranian Foreign Ministry Spokesman Bahram Qassemi has dismissed as unfounded a report on Iran’s role in hacking the mobile phones of some Israeli officials, saying the Zionist regime’s officials have grown accustomed to spreading lies about Iran on a daily basis. “Out of their hostility and malice [towards Iran] and [as part of] their bid to promote Iranophobia, the Zionist regime and US officials are exerting what they call ‘maximum pressure’ on Iran in various forms,” Qassemi said Tuesday. “Through this psychological war which is doomed to failure from the start, they are seeking to achieve their goals by fabricating various forms of irrelevant statements to create a psychological atmosphere against our country,” he added. The spokesman said in addition to spreading lies, the US and Zionist regime try to resort to any propaganda mechanisms to amateurishly link Iran to any development in the world. “Doubtlessly, Iranians, relying on their youths, enjoy unique and unimaginable capabilities in various technological areas. But the capabilities are merely used to meet our domestic needs, promote the scientific status of our country and decrease or cut our scientific and technological reliance on others,” he noted. Qassemi also rejected any report on Iran’s role in hacking Australia’s parliament systems and said it goes without saying that the lies are another part of the same psychological war against Iran’s legitimate capabilities in the technological area. However, he added, that’s just a delusion and an unachievable dream which will only make them more outraged and angry again. Israel’s intelligence agency Shin Bet claimed some days ago that Iranian hackers got hold of election hopeful Benny Gantz’s personal data and sensitive material from his mobile phone. Meanwhile, Australian top-level sources alleges that a cyber attack on Australia’s political parties and Parliament has been made likely by hackers in Iran.